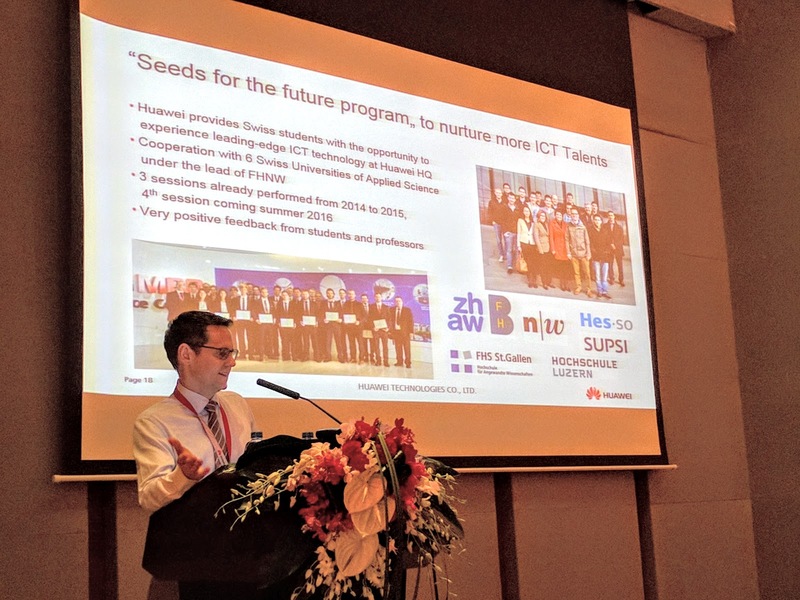 I had the pleasure to be part of the Swiss delegation for the study tour to China with Huawei's Seeds for the Future program as a representative of FHS St. Gallen again (20.-30. Aug. 2016). Nevertheless, my postings about the tour express my personal views only. And as the working language throughout the trip was English I decided to write this post in English as well. In my view this is really a great program and gives students - and professors - the unique opportunity to get to know a global company quite well and thus to get an insight of a global player in the high tech industry*. 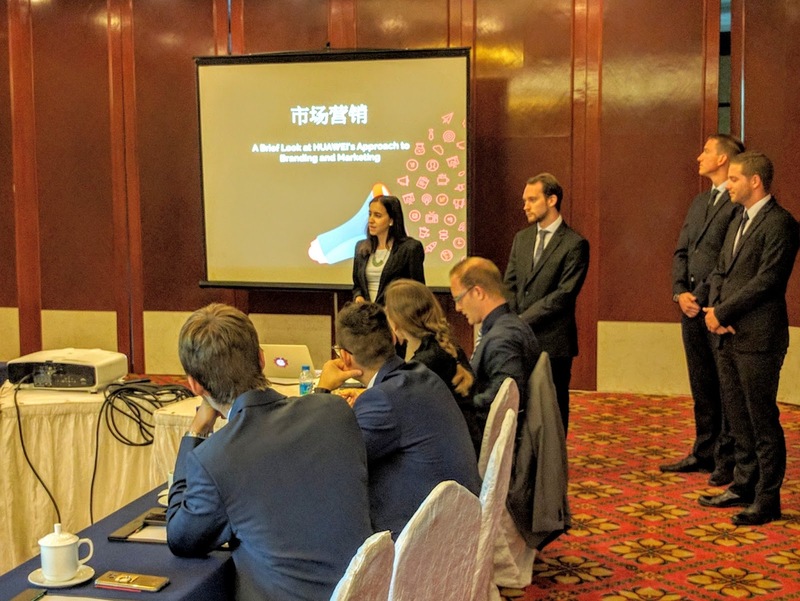 The whole group of the trip comprises 16 students from various (IT/IS related) subjects from all over Switzerland, six professors and Axel Menning from Huawei Switzerland. We arrived in Shenzhen on Sunday night after a transfer from Hongkong airport where we flew to out of Zurich. 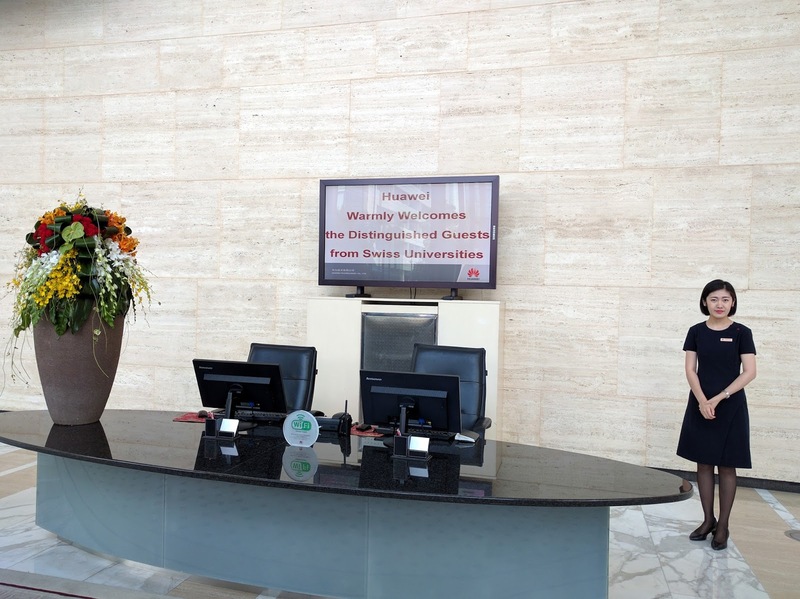 We are staying in a Hotel on the Huawei campus in Shenzhen. On Monday morning we started off with a bus tour through parts of the campus, where up to 30'000 people are working. 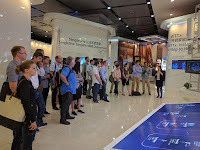 We then had our first visit to one of the really impressive exhibition halls on the campus where we got an introduction into Huawei's business and key technologies as well as potential applications. 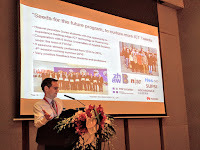 After lunch, Simon Lacey, Global Government Affairs - International Trade and the Digital Economy Leader, welcomed us in perfect Swiss-German and French to his introductory presentation about Huawei as a global high-tech player. Simon's CV is impressive: As an Australian, he studied law in Fribourg and thus speaks French and (Swiss) German pretty well. In total, he lived in Switzerland for 15 years. Before he joined Huawei a year ago he had jobs literally all over the world, e.g., in the US, South Africa, Indonesia, Singapore, and even China before. Simon said at the beginning that Huawei might be "one of the biggest companies you've never heard of". Indeed, the company with 170'000+ employees working in 170+ countries is much bigger than its competitors such as Cisco or Ericsson. Simon as well as our guides in the exhibition halls - we visited the exhibition hall for enterprise solutions in the afternoon - stressed Huawei's innovation power: 44% of the staff works in R&D, the research centers are distributed all over the globe. 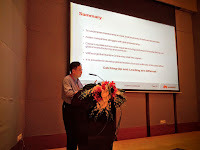 And especially in the exhibition halls, it was stressed the Huawei pursues a strategy focusing on cooperation as well. The term ecosystem was used several times. In the Q&A session he said answering a student's question about more personal experiences: "... the great firewall is a big burden for all people living here". 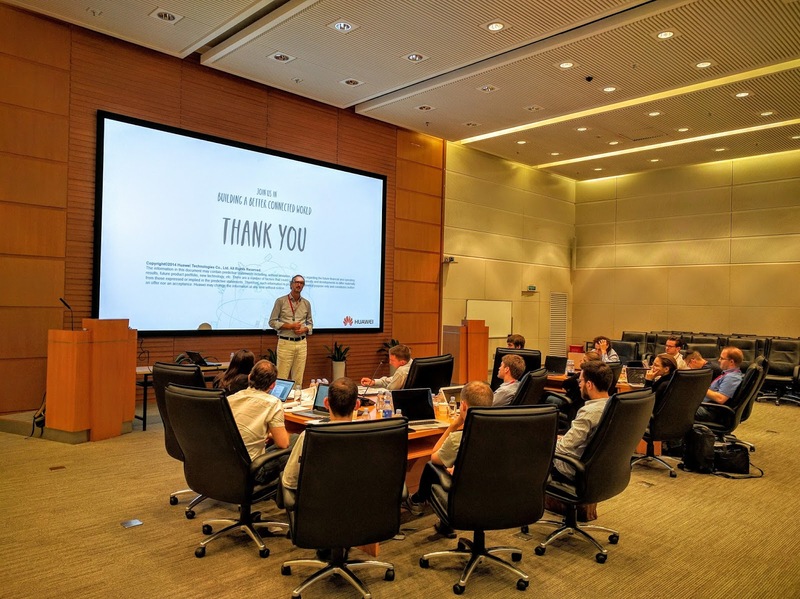 On Tuesday William Lo introduced our group to some Management fundamentals at Huawei. As a Chinese, William was raised and worked outside. China Most of his Life and is with Huawei for 5 years now. He's working at the so called HR Committee, one of three committees linked directly to the board and dealing with all issues around management or how William phrased it: "everything what has to do with people". 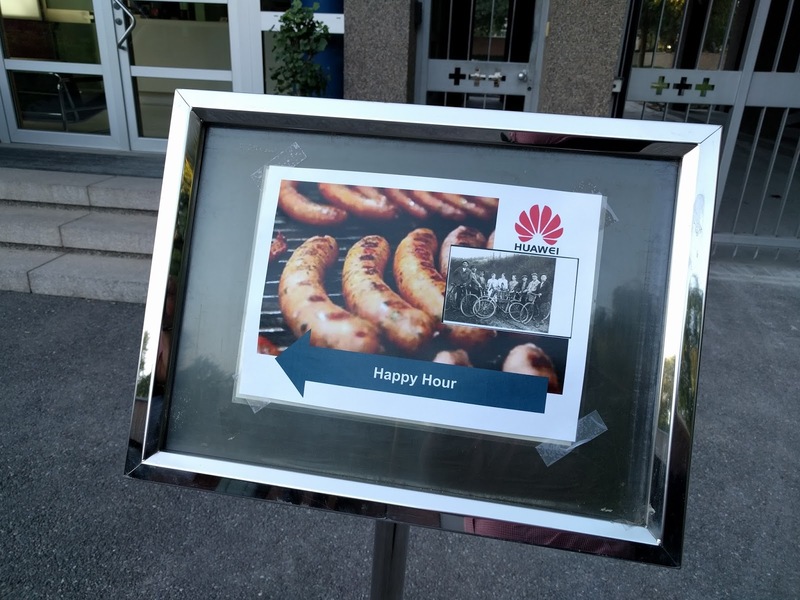 Huawei's way of management has also been a subject of some publications, e.g., in HBR or The European Business Review. 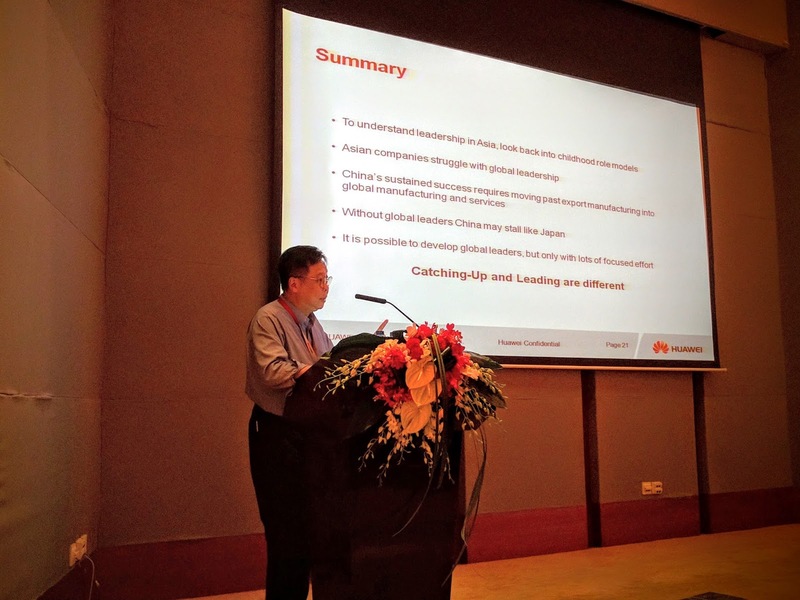 In his presentation he focused on visionary leadership, share the wealth, dedication, as well as customer centricity. In terms of "visionary leadership" the founder of the company, Ren Zhengfei, is always present. His management philosophy is guiding the company since it's inception in 1987. 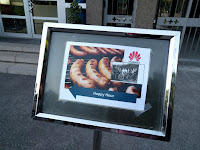 Although some of the management principles in terms of employees dedication at Huawei sound rather strange from a Swiss or European point of view - e.g., not claiming even the minimum of vacations days, working every 4th Saturday an extra day -, the company's success testifies that something must have done right, so far. 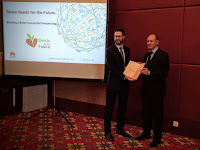 But William also admits that due to an increasing globalization of the company's activities as well as different values of the young people some of the principles might be subject to change in the future. William also addressed the leadership skills of Chinese in a global context comparing China to Japan and applying the tiger mother phenomenon. It's about a more directive way of raising kids and students which might result in very good engineers but might not educate real leaders and/or top CEOs. Some further details William added: Huawei is China's largest non-government-owned company, it is 100% owned by its employees, the founder holds 1.42% of the shares. After a presentation about Huawei's cyber security strategy and lunch at the employee's canteen, we headed north of Shenzhen to Songshan Lake Science & Technology Industry Park to visit Huawei's automated logistic center and wireless production line. On Wednesday morning Hank Stokbroekx gave an introduction into marketing in general and at Huawei. Before lunch, the students had the chance to prepare for the final presentation in Beijing on Monday. 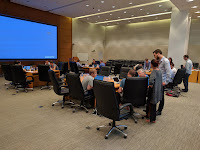 I had the pleasure to support the group dealing with marketing issues at Huawei as their coach. In the afternoon we visited the Shenzhen Museum showing the impressive development of the city of Shenzhen and had the chance to further explore the city. 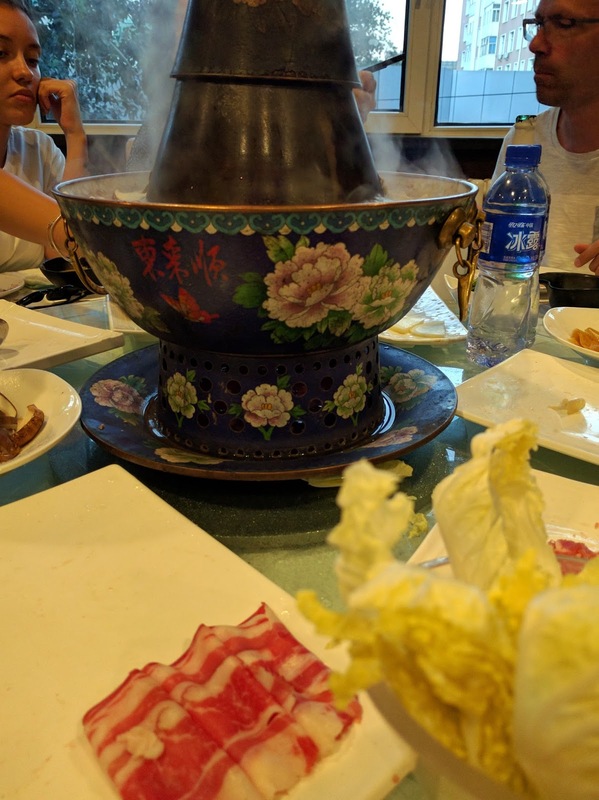 On Thursday we flew to Beijing where the group visited the Forbidden City in the afternoon and had a traditional Beijing style hot pot dinner in the evening. Friday morning we visited Huawei's Beijing exhibition hall which is the largest of all exhibition halls of Huawei in China. This very representative building is targeted to welcome high-ranked representatives from politics and business. The architecture of the whole campus follows a Mediterranean style. During our guided walk through the large halls, we focused on 4.5G and 5G developments as part of Huawei's MBB 2020 vision as well as the Internet of Things. One of the statements was that Huawei expects a long tail market in this area as there will be no killer application. 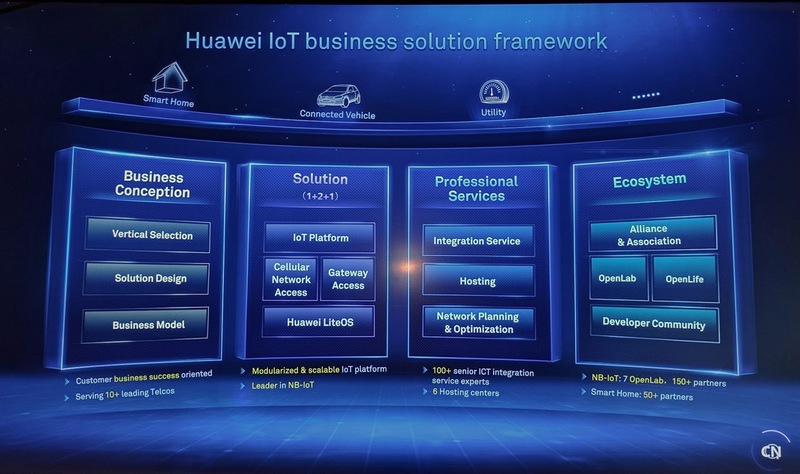 Without giving a specific time frame and meant more as a rough estimation Huawei expects a $2 trillion market in the area of IoT, 1 billion smart metering connections, and 2 billion connections in manufacturing. In the exhibition halls, Huawei showcases what kind of services might be possible applying especially next generation mobile technology such as 4.5 and 5G. 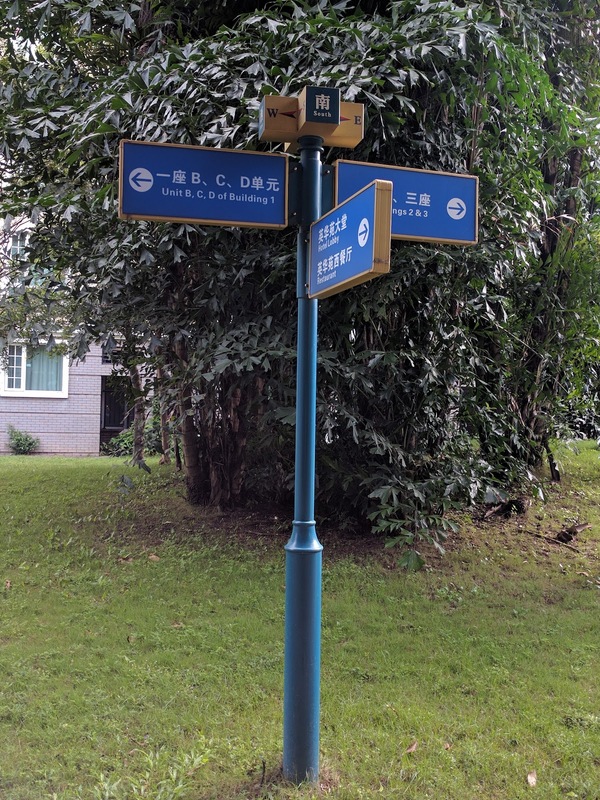 For example, Huawei has developed LampSite, a "radio coverage solution that supports indoor multimode deployment in large- to medium-sized sites such as office buildings, venues, and transportation hubs and semi-enclosed sports stadiums" (source) thus expanding the mobile potential. One application scenario might be hybrid shopping solutions in the retail area where consumers use mobile Apps inside the retail store to enhance customer experience and/or customer service. Whereas 5G mobile communication is still under development Huawei offers 4.5G solutions to carriers offering Experience 4.0 to consumers. Huawei clearly focuses on 4.5 and 5G mobile communication as a basis for future IoT applications as the carrier business is Huawei's most important business line. Nevertheless, carriers such as Swisscom provide IoT-networks based on the LoRa technology which follows a different approach and enables different business models. The LoRa technology can be deployed decentralized without any licenses; The Things Network demonstrates how an IoT network can be established bottom up without high cost. It was mentioned by our guide as well that Huawei changed its strategy: Instead of selling technological solutions now services come first. So far, most of the offered services are targeted to the carrier market. To be successful in the enterprise business I think it is absolutely necessary to offer (industry specific) services to be successful. Before lunch, Alex from Huawei gave us an overview of Huawei's IoT activities. 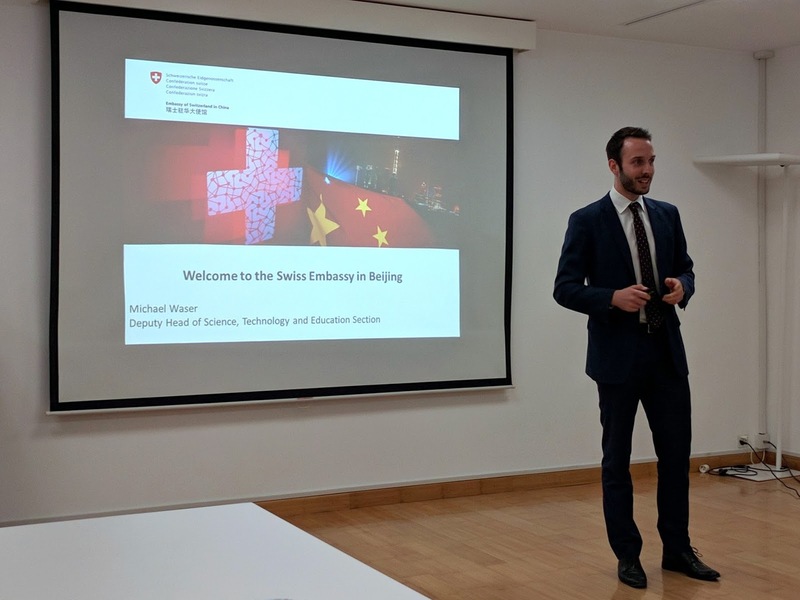 After a great lunch, we went to the Swiss embassy in Bejing. We were warmly welcomed by Michael Waser from the embassy. He gave us an overview of the embassy's activities in China. It is interesting to mention, that it is the largest Swiss embassy which sheds light on the importance of the Swiss-Chinese relationship. Also, the Swiss business hub in China is the biggest one. 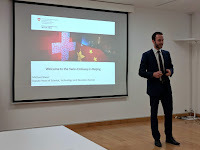 Fabio Müller then gave his very interesting presentation about Doing Business in China. He elaborated some mega trends in China such as aging society, the end of low-cost China, urbanization, as well as rapidly growing middle class. Of course, doing business with China has quite some challenges, e.g., the dimensions of the country, regulation which makes it still difficult to invest in China, cultural differences in terms of quality, contracts, penalty, risk, as well as the relationship of business and private, investor concerns, especially finding the right talents, and IPR, legal and regulatory issues. Then, Samuel Baumgartner and Tengteng Li from Wenfei Law gave some interesting insights from a legal point of view. Samuel said answering a student's question: "you can not rely on the judiciary system". This summarizes quite well the presentation; Swiss businesses have to be aware of this situation and prepared accordingly. Finally, we had the chance to meet a group of cyclists during the Apero in the embassy: They cycled 7800 km from Moscow to Beijing! In the evening we got Beijing duck at a really great restaurant. On Saturday, the students were preparing their reports and presentations. Monday was the last day of our trip - and the big day for the students as they had to present their group work. Each of the four groups comprised four students from four different universities; at the beginning of the trip, a topic and some expected deliverables have been assigned to the groups. So it was a kind of a challenge to come up with relevant and interesting results in a rather short period of time. Each group was coached by one or two professors. The topics were Management & HR, Cybersecurity, Marketing, and IoT. 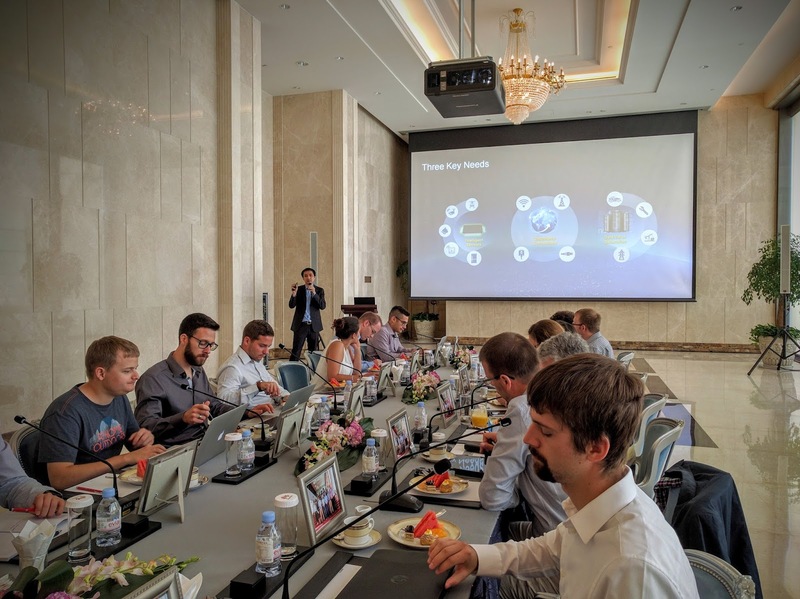 In summary, it was a great and very intense trip with a lot of insights into Huawei as a global high-tech company with its roots in China as well as into the Chinese culture in general. A big thank you to Huawei making this possible. Well, in China there's always the issue of free Internet access. Technically, hotels, as well as many restaurants and shops, offer free wifi connection. 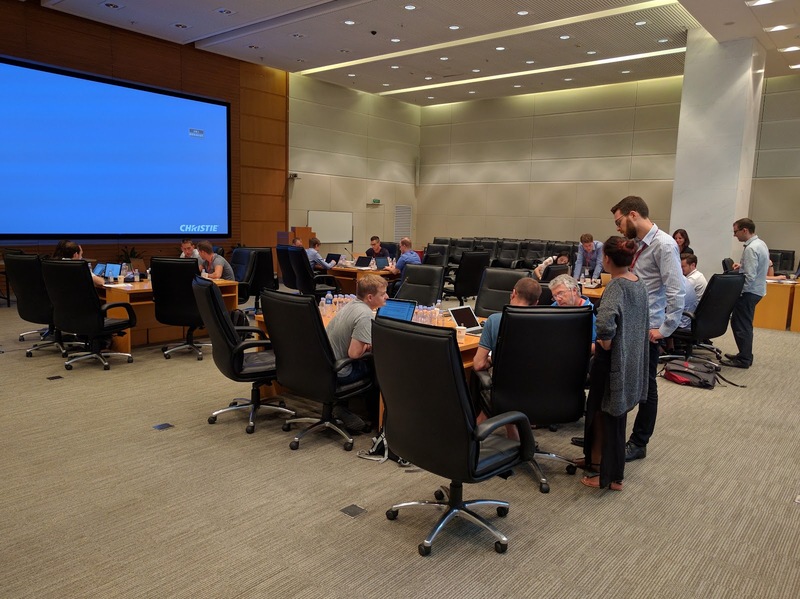 But there's a challenge insofar as quite often an authentication is required either via WeChat and/or a Chinese mobile number, foreign mobile numbers are not supported. Luckily, I learned my lessons from last year and thus I opened a WeChat account already back home. 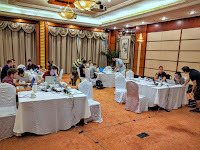 In addition, our whole group got a Chinese SIM card provided by Huawei to enable easier communication within the group. As this SIM card also included 1 GB of data volume using our Smartphones on the go was possible without tremendous roaming charges. As far as the access to websites and Social Media applications is concerned we faced some limitations. Services such as Facebook, Twitter, or Google search engine are not accessible at all. Gmail sometimes worked, sometimes not. Even this blog is not accessible in China as it uses blogger.com, which belongs to Google. Also, some other websites, especially news sites, are not accessible from time to time. Despite the Chinese alternatives such as WeChat or Baidu there are quite many Chinese people which are actively using Gmail, Twitter, Facebook et al. 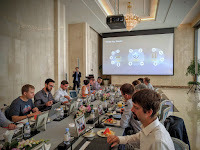 And also Huawei is using services such as Twitter and Facebook, for example, just in theses day when communicating from the global Huawei Connect 2016 meeting in Shanghai; there are frequent tweets sent through the official Twitter account @Huawei as well as from many other accounts of the company's divisions out of Shanghai. Furthermore, even the Chinese version of the corporate website contains links to services which are officially not accessible (see screenshot). 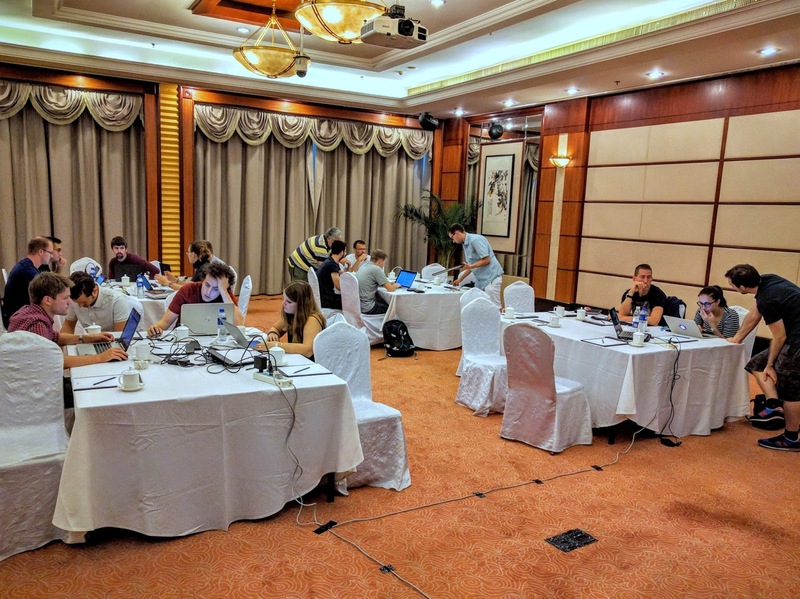 Of course, there are workarounds to access those sites also in China; the easiest way is to establish a VPN connection, but which reduces the performance. As a result, you have to think about which website or social media site you want to access. Experiencing this kind of censorship makes you aware what it means to have free Internet access without any restrictions. 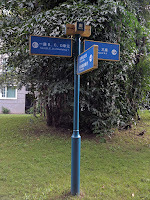 Video surveillance in the public space is omnipresent, especially in Beijing. But this we can see in many US and European cities, e.g. in London, as well. To enter the Beijing Metro your bags get screened like at the airport. Water bottles are being screened with a special tool, and it happened to me once that I had to take a sip out of my bottle to proof that it was water - and nothing else. And if you want to enter the Tiananmen Square you can't just go there without screening your bags or backpacks. And in addition to checked bags and surveillance cameras, there are uninformed people everywhere as well. Obviously, the authorities are still afraid of any kind of protests. By the way, Tiananmen means Gate of Heavenly Peace. This must be the Chinese way of interpreting the term peace. * The trip has been sponsored through Huawei Switzerland for the students only as part of the Seeds for the Future program, but not for the accompanying professors.